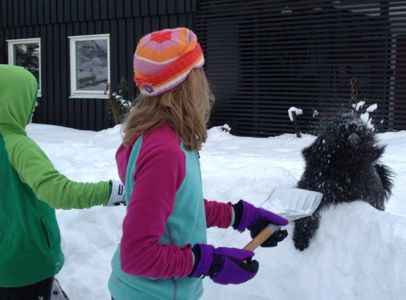 In Drammen there lives a household Norwegian Forest Cat, called Putin. I didn't get a photo of Putin, but she (yes 'she') looks a bit like the back left cat below. 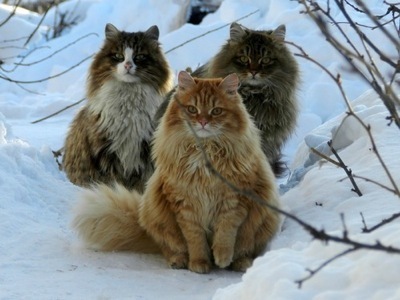 Norwegian Forest Cats are apparently very well equipped to survive the cold winters and snow. I think they survive the cold winters because they are fluffy and cute yet have a piercing stare, which will have you up off the couch and letting them inside immediately, so they can resume their 21 hour nap. Where we are staying is another exceeding fluffy animal, allegedly a dog, called Effy. Effy is like a cross between a sheep and a polar bear, and Effy is only 9 months old. So imagine a clumsy, excitable, large sheep-like creature running around the place. 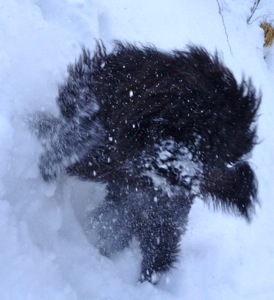 Nothing is safe..
Also this is Effy's first winter, so he (yes 'he') plays around the snow like a toddler. 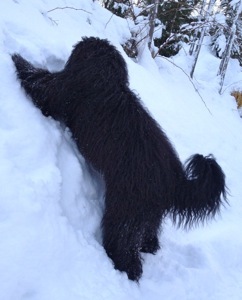 Unfortunately for him, the snow sticks to his fur, so when he comes inside he leaves melted snow piles everywhere! 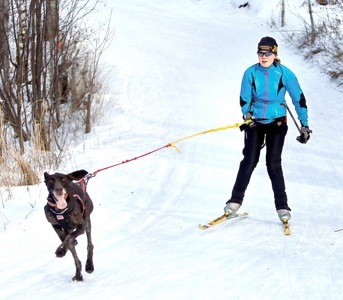 I'm not sure what the plan is for Effy, but it is very common to have your dog haul you along the ski trails, like this.. Such that it looks like the dog is taking it's person for a run.. The dogs seem to LOVE it.